Don’t let your afternoon be a washout. 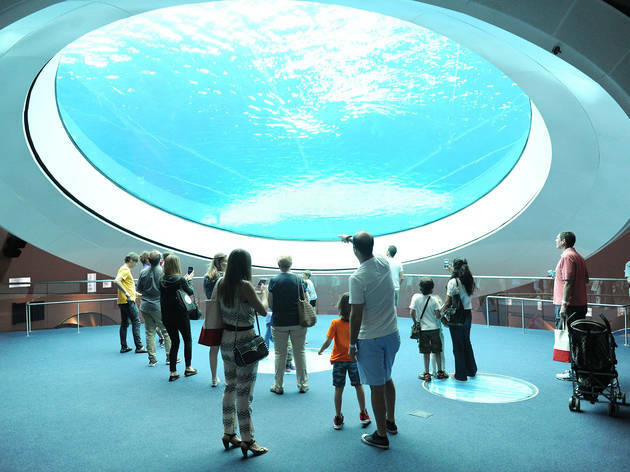 Find fun indoors with our list of things to do on a rainy day in Miami. When the clouds come rolling in, we all immediately rack our brains for a list of things to do on a rainy day in Miami. Contrary to popular belief, that list includes more than just Netflix and ice cream, extending into best things to do in Miami territory. 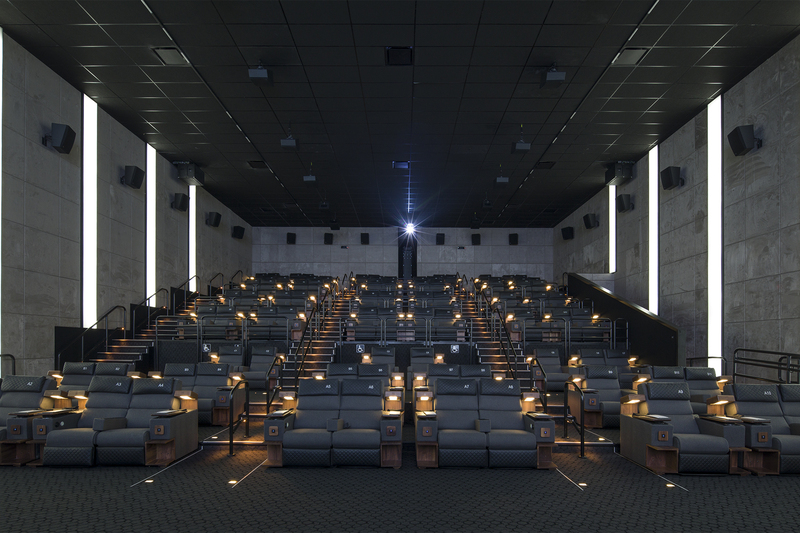 Sure, the best movie theaters in Miami or the best Miami breweries will do the trick. And we won’t stop you if that’s your vibe. But it’s nice to spend a rainy day doing something a little less obvious, isn’t it? The crappy weather can provide an excuse to try something around the city that you’ve been putting off or procrastinating on. Check out some of the best rainy day options below and make the best of a soggy day. 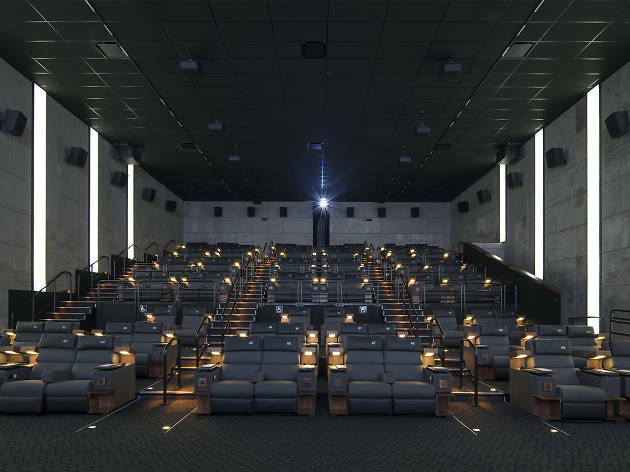 What is it: A super luxurious movie theater inside the equally luxurious Brickell City Centre. No creaky seats and stale popcorn here. Expect comfy recliners and an impressive menu. Why go: It ain’t easy to beat Netflix and chill these days. But CMX gives you plenty of reason to leave the house with its full bar and tasty food, served to you in the comfort of your plush recliner. 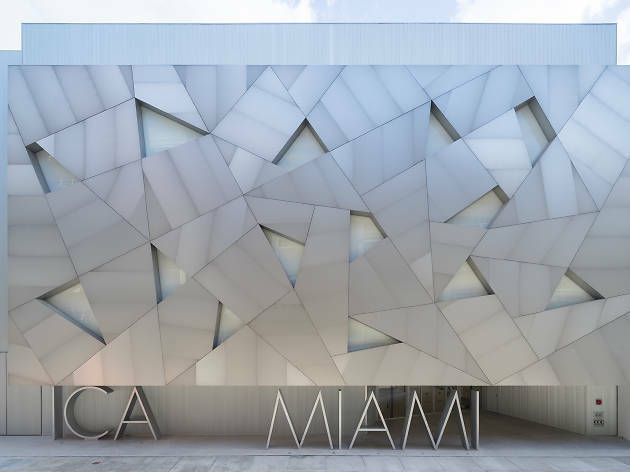 What is it: Miami’s popular new science museum. The shining facility appeals to just about every curious member of the family with an aquarium, live animals and cool interactive exhibits. Why go: Frost will give you your money’s worth. It’s entertaining and informative from the ground floor all the way to the rooftop. 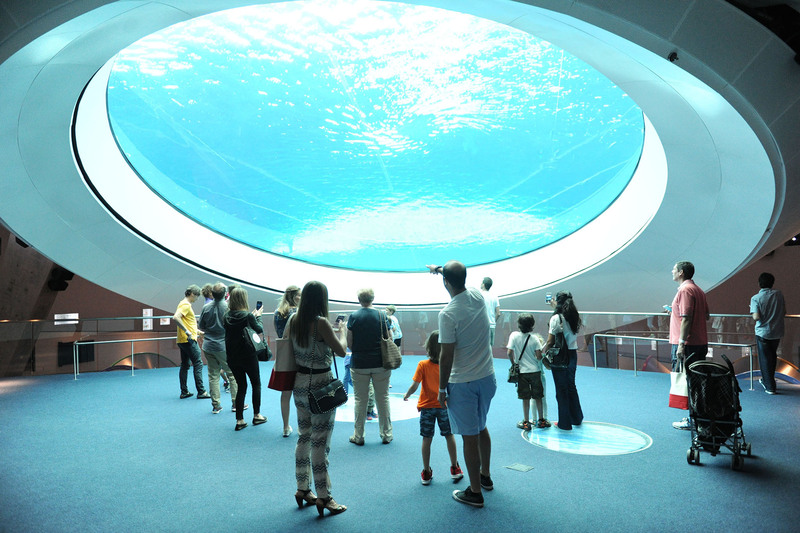 Get your mind blown in the planetarium and don’t forget to pet a stingray before you leave. 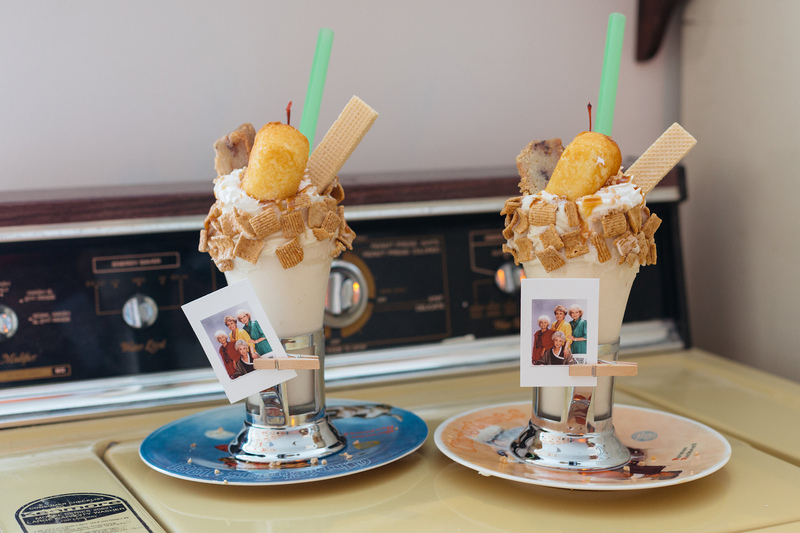 What is it: A small, milkshake counter located within the delicious burger joint LoKal. 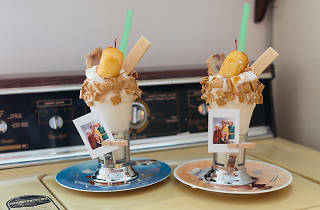 The kitchen’s concoctions are monuments to sugar-fueled indulgence. Why go: There’s something comforting about being curled up in your mom’s kitchen during a thunderstorm, pigging out on ice cream. 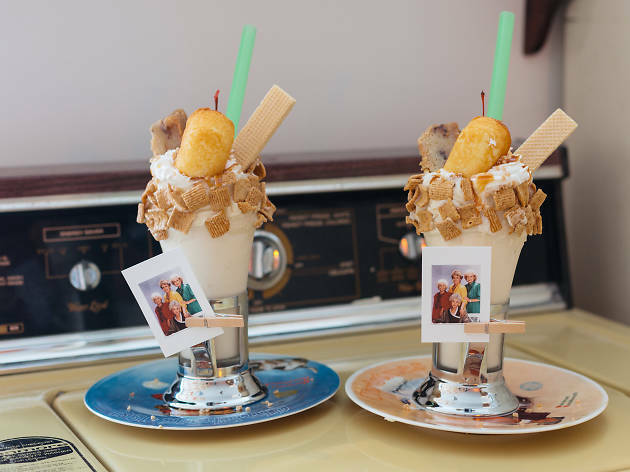 Vicky’s is modeled after the owner’s old ’80s kitchen and—no offense—serves sweets better than your mom ever could. 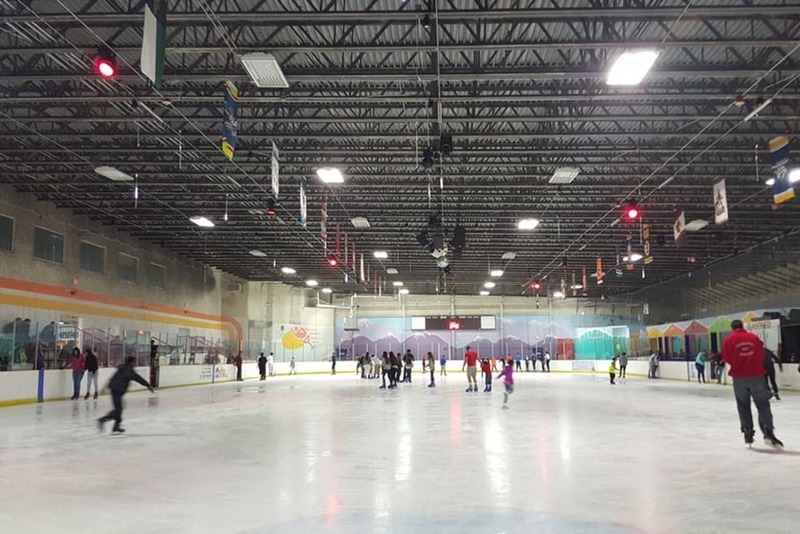 Photograph: Courtesy Yelp/ Ricky C.
What is it: Miami’s largest indoor ice-skating rink where you can pretend, for a brief time, that winter exists! 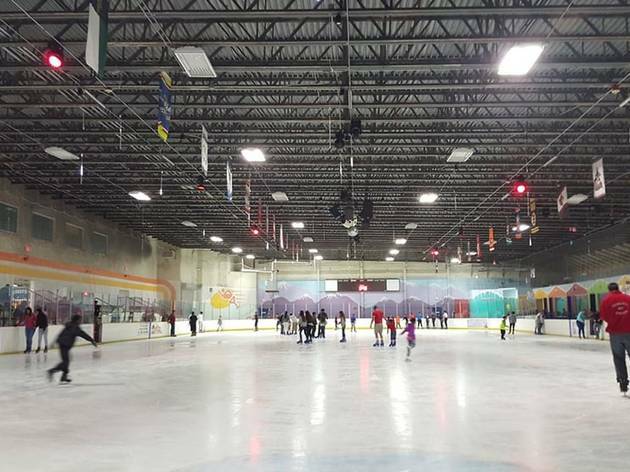 Why go: If it’s an awful day outside, why not hit the ice for a change of atmosphere? Seriously, when’s the last time you skated? Pop in, rent a pair and swish around to music from a live DJ. 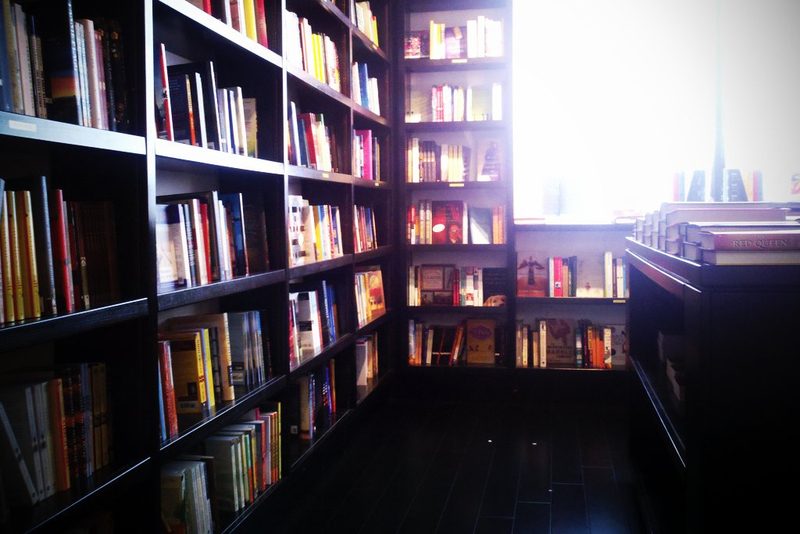 What is it: A heaven for book-lovers. Books & Books is a superb independent, well-stocked store with bestsellers but also lots of small publishers. 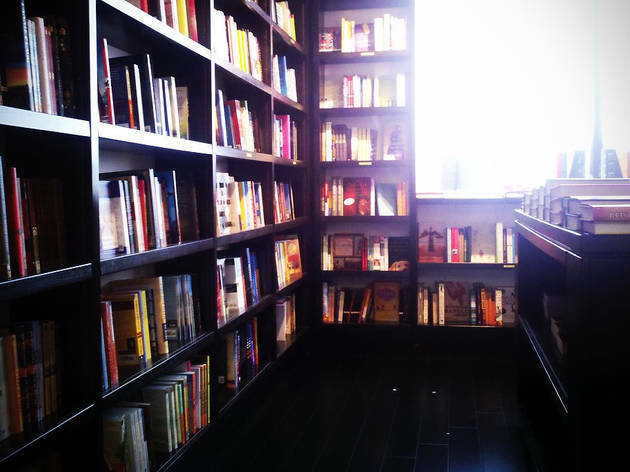 Why go: The Gables location is the one to pick for a rainy day reading session. Its cozy rooms include a room for antiquarian rarities and another for kids’ books. There’s also a tasty café and regular author readings. 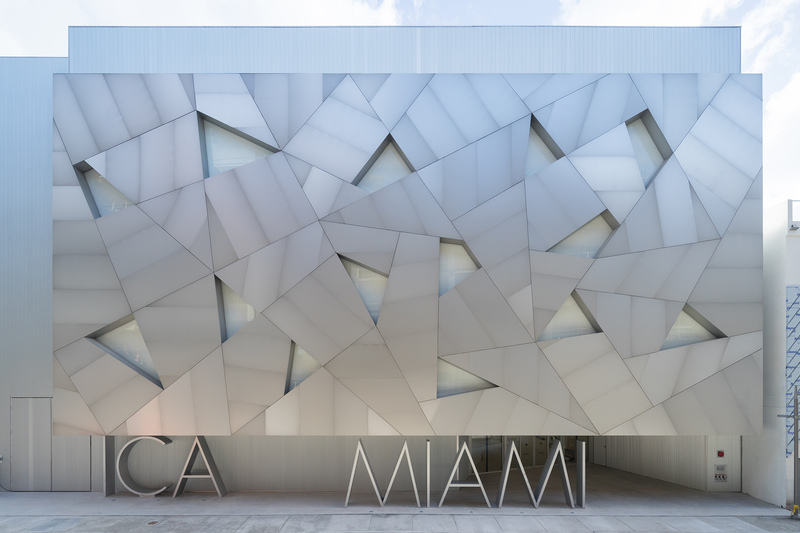 What is it: A sleek, recently renovated museum showcasing some spectacular modern art. Exhibits have shown work from big names like Donald Judd as well as important local artists. Why go: Museums and rainy days are a natural fit. 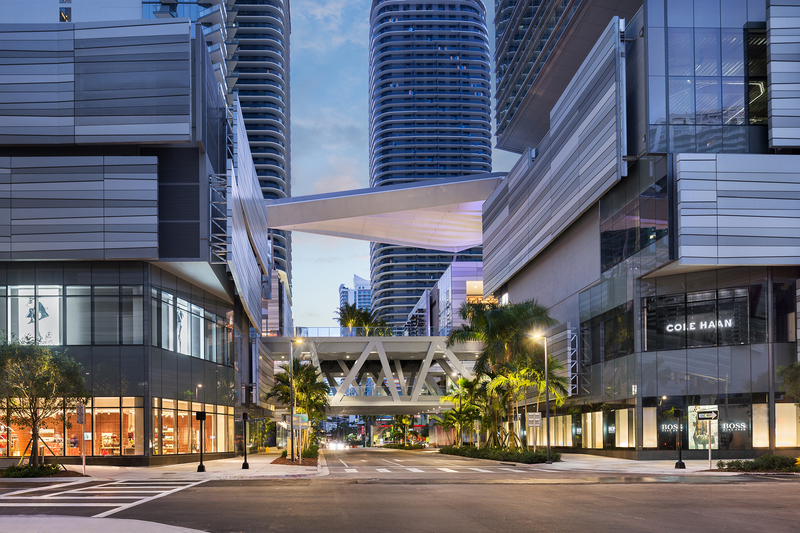 Plus, the insane new Design District parking garage (itself a piece of art) is right across the street, so you won’t have to walk in the rain. Oh, and it’s free! 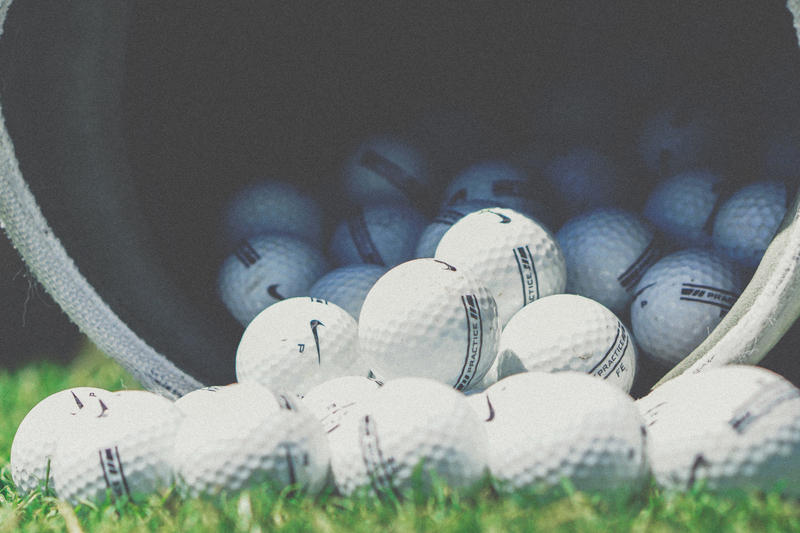 What is it: A driving range for the 21st century. 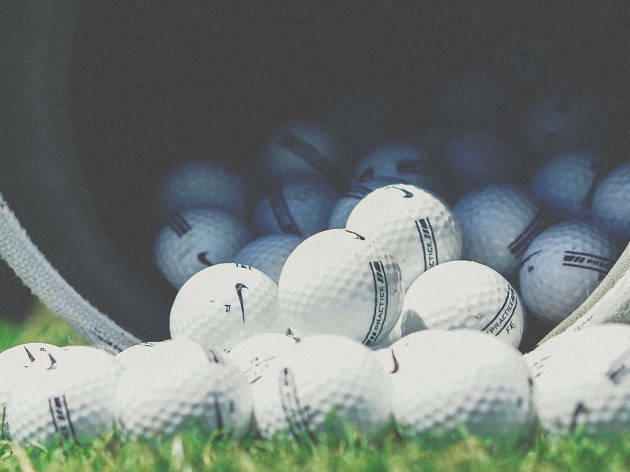 This golf range features private bays for you and up to eight of your buds as well as full service from the bar and kitchen. Why go: Rain usually dampens sports, but at Topgolf the weather isn’t an issue. The covered range allows you to hit no matter the moisture. Plus, you can order a bucket of spiked Arnold Palmer. The more you drink, the less you care about sucking. What is it: With its recent 315,000-square-foot expansion, the Aventura Mall is officially a great place to kill a rainy afternoon. Why go: Shop around at Zara and the only Florida store from the British fashion company Topshop. 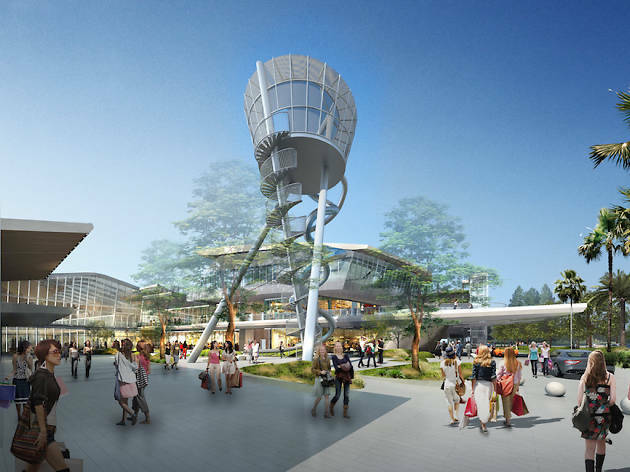 Then, eat at Shake Shack, Luke’s Lobster and tons more choices in Aventura’s new food court to end all food courts. What is it: Miami’s favorite record store. Sweat is a local treasure, where music lovers of all types gather to search vinyl and nerd-out over espresso. Why go: Aside from the intrinsic awesomeness of supporting your local record store, Sweat has a fantastic selection and great atmosphere. Afterward, maybe a beer or two at Churchill’s next door? It’ll help you deal with your weather-related blues. 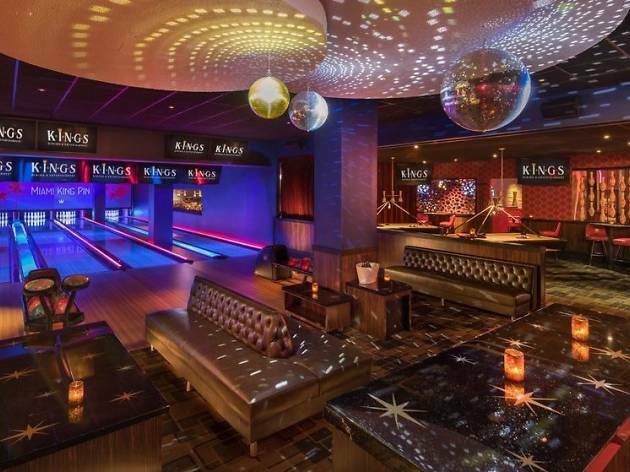 What is it: A big, funky bowling alley in Doral. Bowling not your thing? Book one of the private karaoke rooms, order a couple cocktails and sing your heart out. 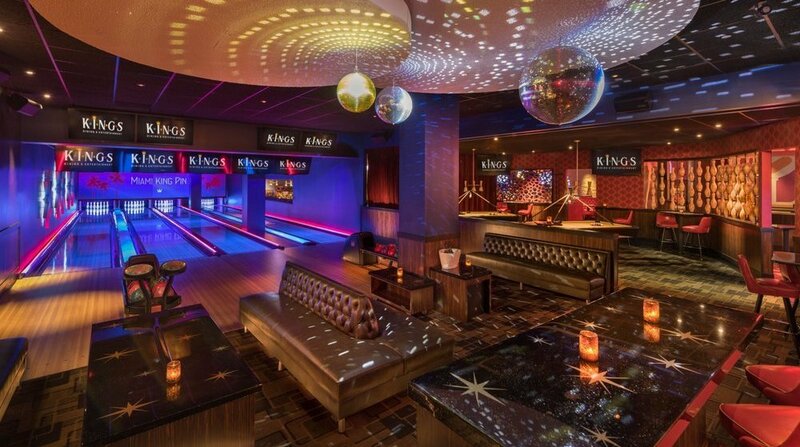 Why go: Bowling is a heck of a rainy day activity and Kings Bowl is probably the most impressive bowling facility Miami has. Plus, you can snack on wings and burgers as well as some drinks from the rum lounge. 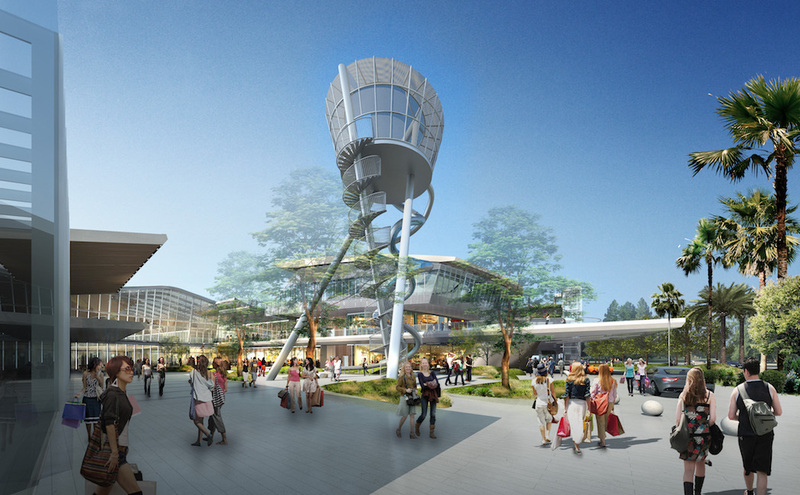 What is it: A covered, somewhat outdoor mall with an impressive selection of stores and really stunning architecture. 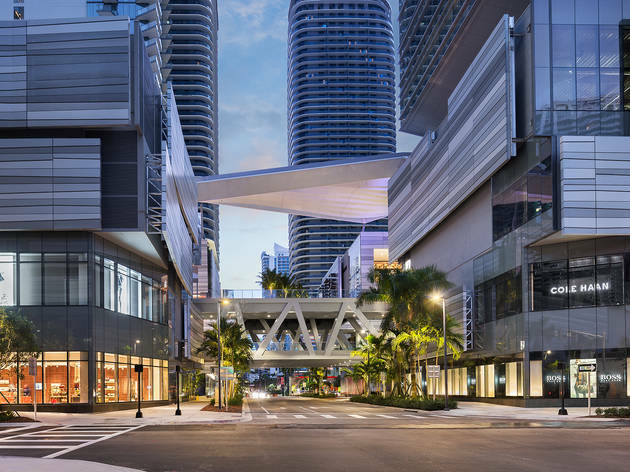 Why go: The City Centre boasts something called a “climate ribbon,” which—no—is not just a fancy way of saying “roof.” Its purpose is to keep Miamians cool by trapping the natural breeze and funneling it into the Centre. When it rains, the ribbon creates a truly unique atmosphere, capturing the air’s cool, damp feeling while somehow keeping you dry.